North’s tennis team just had a banquet to mark the season being over. Tennis has several members on their team such as junior Chole Bentley, junior Delaney Church, and junior Delaney Flanagan. It was a good season for these girls. “It was good, we had a great season, we had a lot of fun,” junior Chloe Bentley said. Tennis is a sport that isn’t well known like basketball or football so it has some differences in training. “We play a game called pass the racket that includes the whole team,” junior Delaney Church said. The tennis team just got a new court this year that gives them more space for practice and tournaments. “It was better than last year like having more space to play and not having to wait,” Church said. 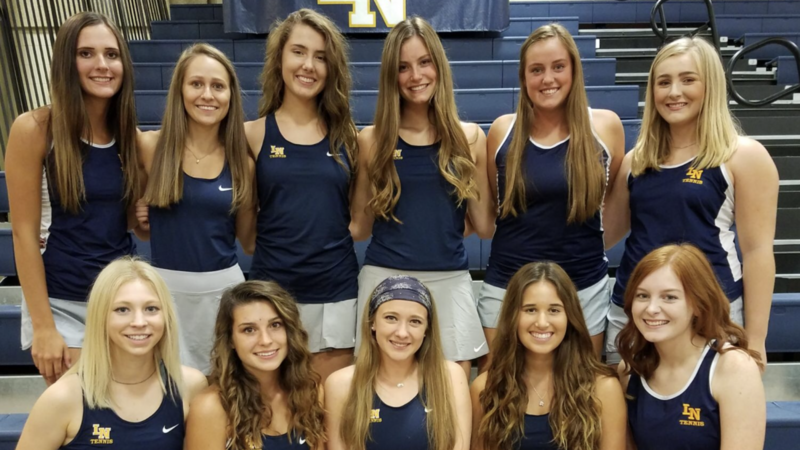 The tennis team has a lot of members that they all practice with together but they might play matches against other teams who might be just as good. “Well, we had a lot of new people on JV on this team. We had a losing score but it’s the thought that counts but we were playing a harder team than last year,” Church said. Tennis could be played with one on one or two on two but there will always be a team. “My favorite thing about the team is probably how nice everyone is and how it helps everyone out with a certain amount of skills,” Chloe said.